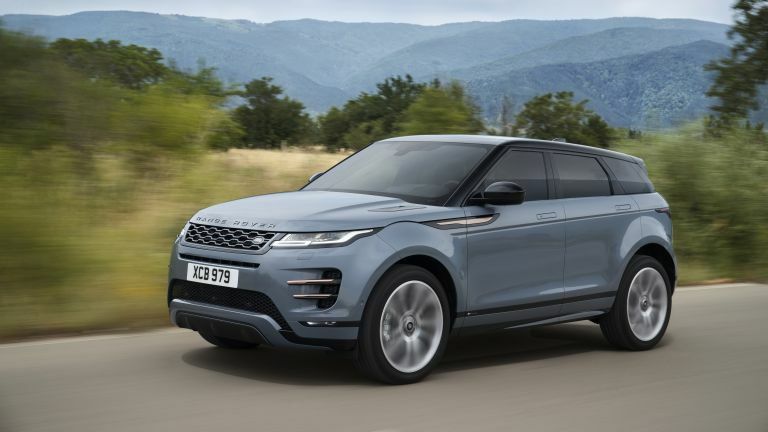 Land Rover's luxury compact SUV has just got even better, with a sleek new look, pioneering new technology, and a choice of hybrid-electric engines. We've got all of the key points on the new vehicle here, and a massive gallery full of images. The new Range Rover Evoque sets new standards of refinement, capability and sustainability. First thing you'll notice is the new design. It's sleeker and smooth, with a refined appearance which makes it look more like its bigger brothers. Step inside and you'll find a luxuriously crafted interior which is designed to offer a "calming sense of wellbeing" whist also being more sustainable. It's also now more efficient, with Ingenium petrol and diesel engines, as well as new Hybrid-electric and 48-volt mild hybrid options. Of course, the vehicle is still a Range Rover at heart, and is designed to go anywhere. You'll find it agile and responsive on city streets, but powerful and capable off-road, with Terrain Response 2 (among other technologies) keeping you in control. The interior is also packed with technology, including Apple CarPlay, artificial intelligence algorithms which learn driver preferences, high-definition video screen revolutionising the rear view mirror, and the world’s first ground view technology, essentially making the bonnet invisible. It's looks incredibly cool, and we can't wait to drive it. The new Range Rover Evoque is priced from £31,600.